We can hardly believe the Holiday season is just around the corner! Whether you have babies, kids, tweens or teens, we have gift giving suggestions for everyone on your list. We’ve rounded up our favourite holiday toys, gear & more for our annual Holiday Gift Guide below, including many local businesses who are committed to ensuring our families have access to healthy, active, and eco-friendly products. 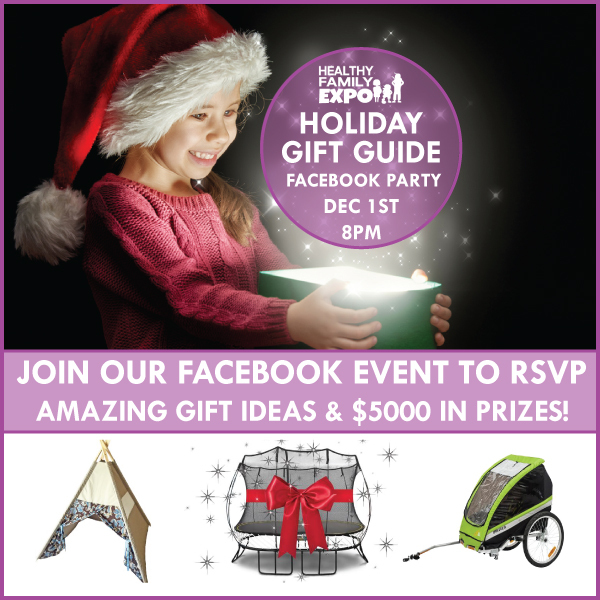 The best news is that we’re also giving away one of every item featured in the guide at our Holiday Gift Guide Facebook Party on Thursday, December 1st at 8 pm PST, including a Springfree Trampoline! But don’t be shy to shop before the Facebook Party – if you see something your family would love under the Christmas tree, go ahead and buy it now, and you’ll get your purchase price refunded if you end up winning that item at the party! 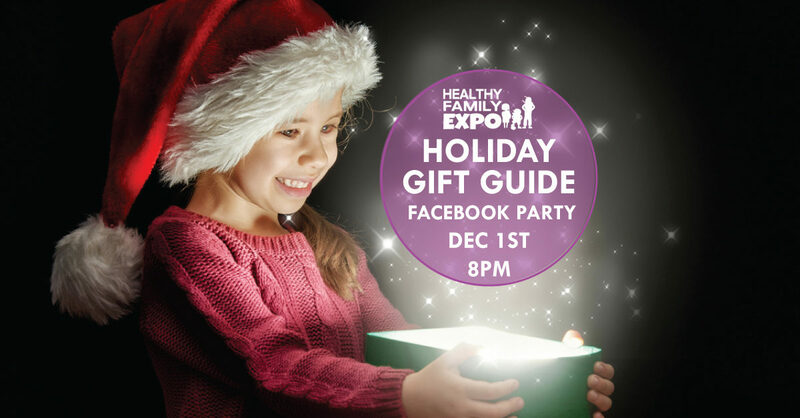 To RSVP for the online party, just visit our Healthy Family Expo 2017 Facebook Event and click “GOING”. Then join us online in the Facebook Event on December 1st for your chance to win over $5,000 in prizes! 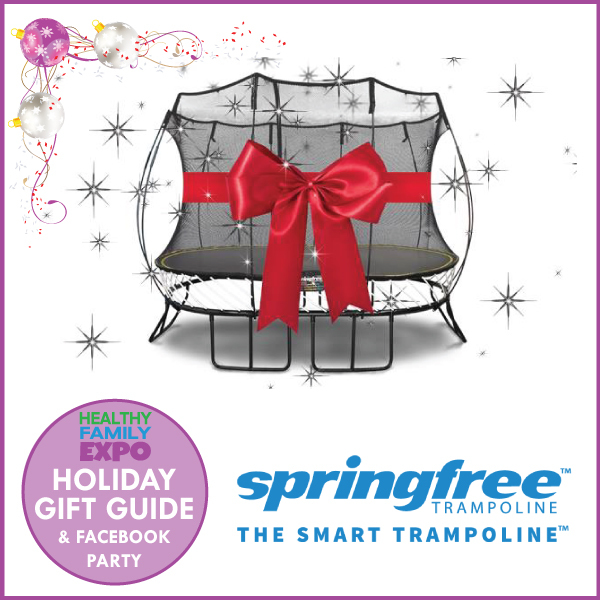 Springfree Trampoline is the smart holiday gift that delivers for the entire family. With tgoma, the backyard trampoline is transformed into the world’s first outdoor interactive game system, designed to help kids go outside & be active. Plus, the trampolines are constructed out of the highest quality materials & are designed to withstand even the harshest conditions so you can jump all year long – even in the snow! The smart springless design has not only changed the way trampolines work but it has eliminated the impact areas most commonly related to injuries. Hot Deal: Black Friday offer includes Free FlexrHoop, Free FlexrStep, Free Delivery & Installation and 50% off tgoma accessory (total savings of up to $917) – only available by calling or visiting the Coquitlam store from Nov 14-28 and mentioning code HFEVAN. 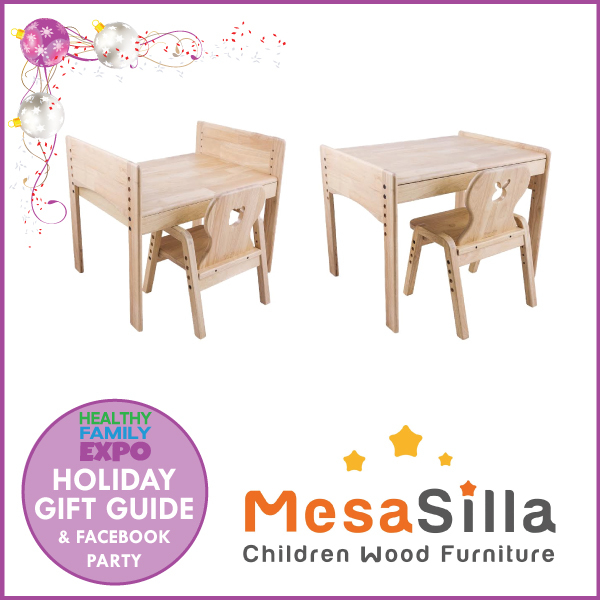 MesaSilla Canada presents the first 5-level adjustable wooden table and 4-level adjustable wooden chair set on the market for your little one to read and play in a nurturing environment. This premium children’s furniture brand was designed by a mother concerned about her toddler developing bad posture from long hours of playing on the floor, confined to high chairs, and not being able to reach adult tables and counters. The design concept of MesaSilla products incorporates well-rounded edge design to minimize the risk of injuries, and the use of natural solid wood to provide firm stability. West Coast Kids is pleased to partner with Petit Pehr on this exclusive #monochrome collection. Petit Pehr products offer the right mix of classic & modern with a subtle balance of fresh yet sophisticated designs. West Coast Kids is a family owned business with 7 locations across Canada that is committed to the safety and comfort of your children. Many years of experience enables them to identify firsthand which products best demonstrate safety, quality and value. You will love their friendliness and will often find a family member in any one of the stores! 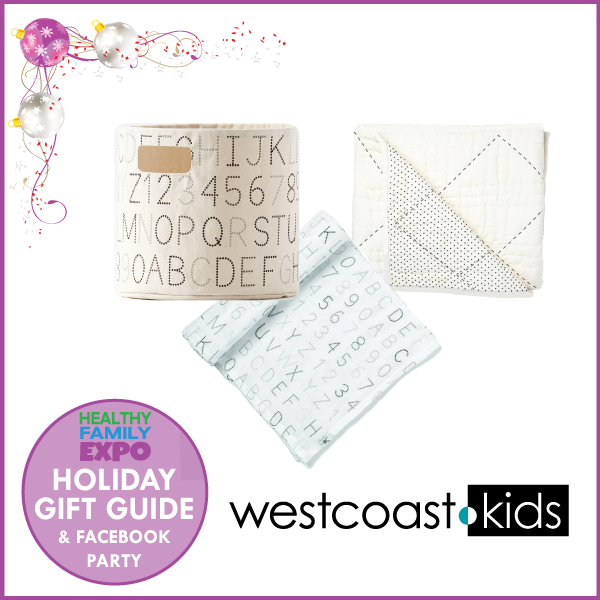 West Coast Kids is dedicated to making shopping a positive and fun experience for you and your family of all ages. Via Velo translates to “by-bike”, and when they began developing their line of child trailers five years ago, the goal was simple: create a line of performance trailers & accessories with the quality expected from high end companies but designed for everyday families. It has now grown into a worldwide brand with three flagship trailers & a host of accessories all designed for use with your family. 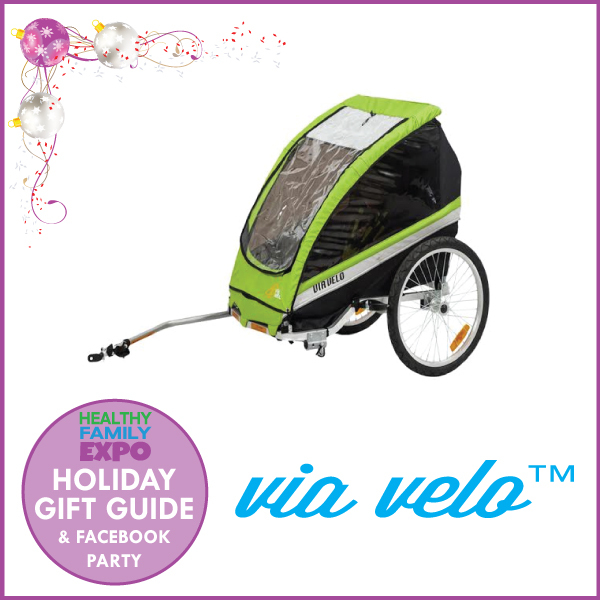 Via Velo bike trailers offer lightweight aluminum alloy construction and are great for outdoor family fun & staying healthy. Give the gift of snuggles and convenience this holiday season! 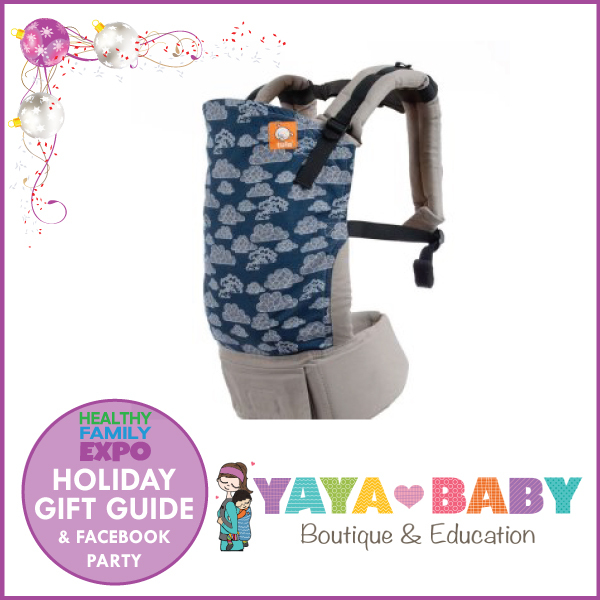 Yaya Baby Boutique has the best selection of “Picky Mom Approved” baby carriers, and they will even teach you how to use them safely and comfortably! Yaya Baby is a locally owned baby store and parenting education centre in North Vancouver. They specialize in babywearing, car seat safety, cloth diapers, and prenatal and postpartum education. The boutique carries the very best baby carriers, cloth diapers, and litterless lunch essentials for the whole family. Hot Deal: 15% off everything at Yaya Baby with the code HFEGIFTGUIDE from Nov 14 – Dec 2. Earth Baby Outfitters is a Vancouver-based, organic baby and toddler apparel and accessory brand. Their goal is to provide quality, cute, modern, eco-friendly apparel & accessories, while keeping socially & ecologically responsible. 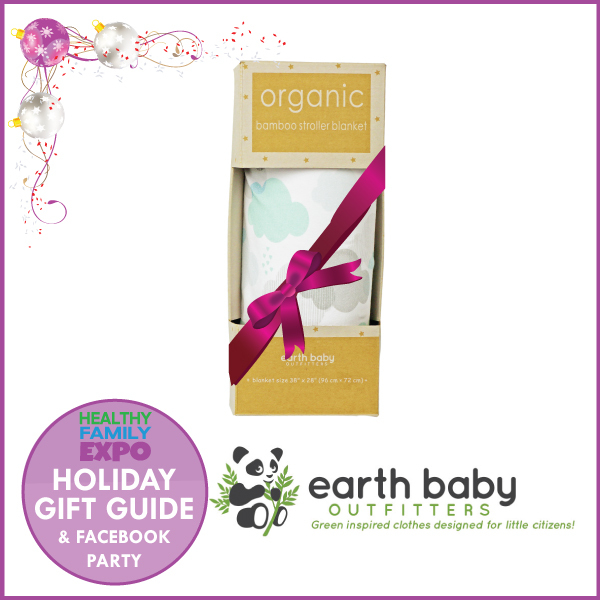 Their digital print blankets are made with premium sourced 100% organic bamboo and use non toxic, digital printing. The result is an incredibly soft, light weight, toxin free, baby safe blanket that is double layered for extra softness with colour matched binding. Generously sized at 36”x 36” (90cm x 90cm), this blanket will be a go-to from crib to crawl and beyond! Mia’s Moccs was created by a mother-daughter duo, Kim and Alyssia, who are based in Vancouver and on Vancouver Island. They create and design stylish leather baby and toddler moccasins at affordable prices, so everyone can have a pair of great quality moccasins for their children. 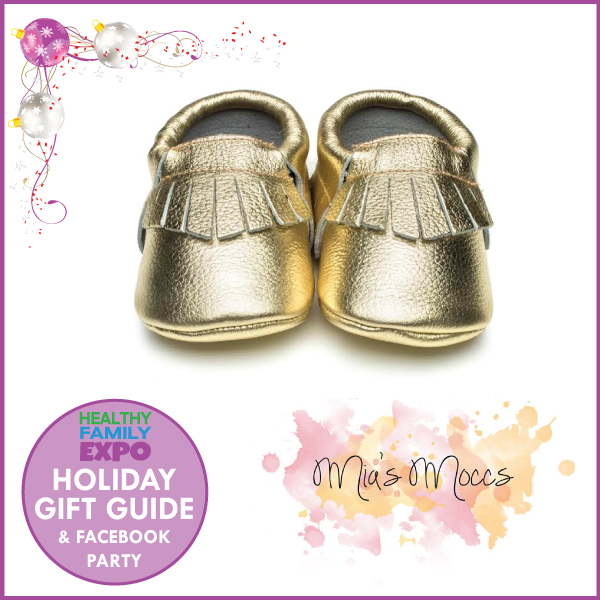 Mia’s Moccs are a great holiday gift as they can be used as everyday shoes, slippers, or daycare shoes and are able to be dressed up or down for any special occasion. Each pair of moccasins are lovingly and ethically handmade overseas. 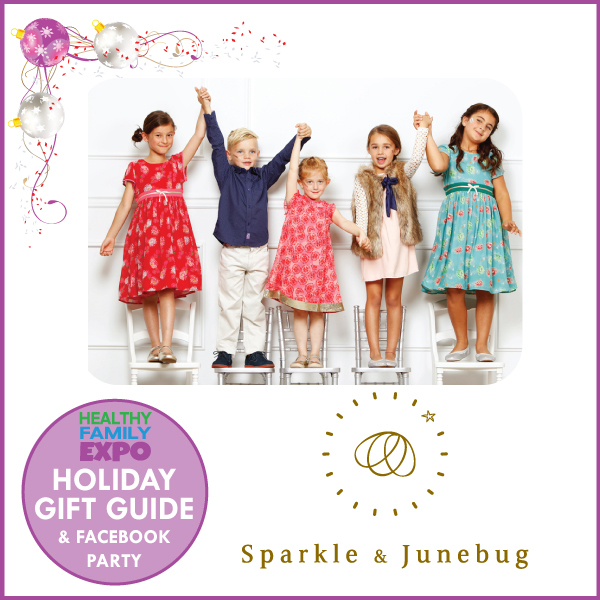 Sparkle & Junebug is a children’s clothing boutique located in the heart of Kitsilano. As you browse through the store, you will definitely be drawn to the diverse and unique clothing styles displayed in the store. The pieces are carefully curated from independent designers from London, California, Sydney, Montreal and many more that wanted to make the very best outfits for their own children. It’s a celebration of independent designers from all over and best of all, you will find fine outfits for both girls and boys! 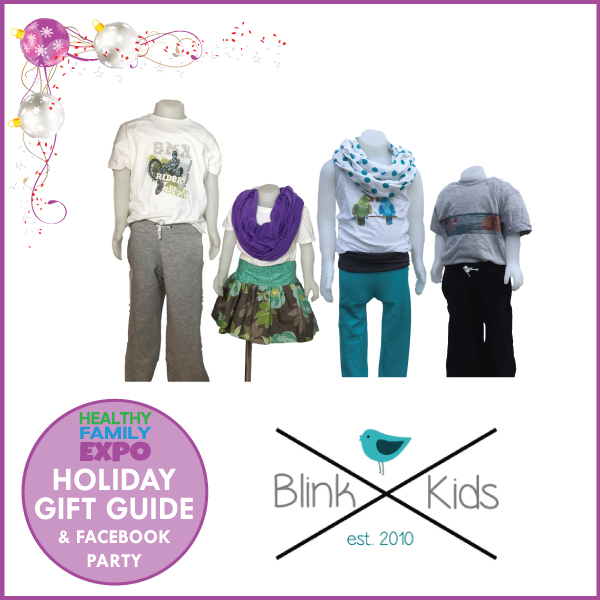 Locally-based Blink Kids is a modern, comfy, high quality handmade fashion line for toddlers to tweens. Inspired by her own kids who were picky about what they wore, the founder of Blink Kids designed a clothing line that combined comfort & style! Their soft & stretchy bamboo cottons are favourites for pants, skirts & other essentials for any little’s wardrobe, and their accessories line is full of products used for everyday life to personalize the uniqueness found in every kid. 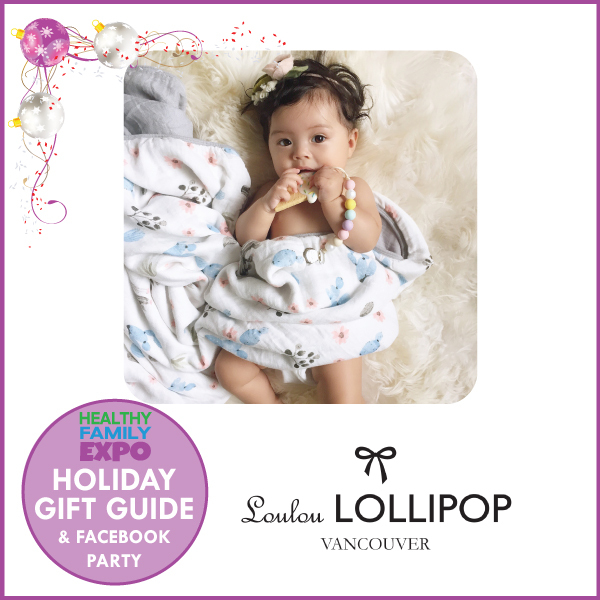 Vancouver-based Loulou Lollipop is a design oriented, fun seeking and color loving company specializes in silicone teething toys, jewellery and muslin baby blankets. Their products are sought after from all around the world and have appeared in multiple publications. Their donut teether, ice cream teether and macaron teether are all original design by Loulou Lollipop with patent pending on all 3 designs. Yogibo is home to the world’s most comfortable bean bag chairs. These amazing bean bags make relaxing more fun with pillows & pads that conform to your body in an exciting variety of colours and designs. 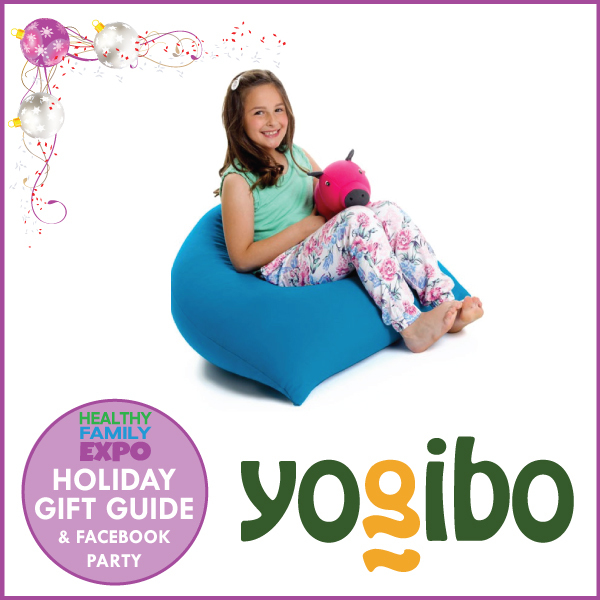 Kids will love the snuggly seats & fun designs while parents will cherish the durability & comfort, making Yogibo products the perfect gift this holiday season. The Yogibo Mini is the personal-sized bean bag chair designed to fit any room in the house, with all of the comfort & awesomeness of a full-sized Yogibo. BC Playthings is a unique, family-owned toy store in North Vancouver that is known as a the best place to find creative & multi-use toys for kids. 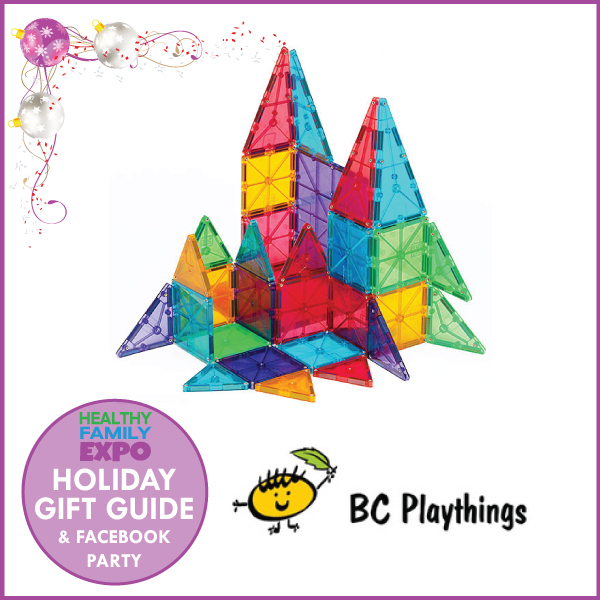 MagnaTiles are one of their best-selling products, especially around the holiday season, and we can understand why! They are innovative, magnetic building tiles that are designed to hold a child’s interest and attention, build critical developmental skills and promote imaginative play and creativity. Hours of fun for the whole family! 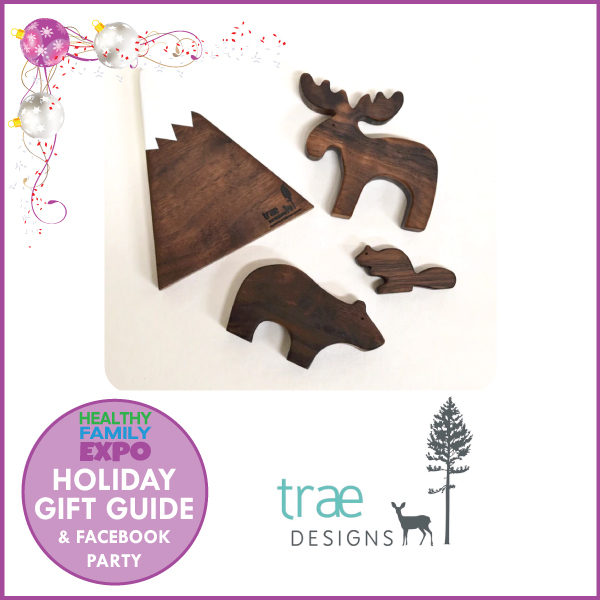 Squamish-based Trae Designs creates modern, funky and fun items for around the home using beautiful woods such as maple, walnut, mahogany and cedar. They also enjoy creating a variety of custom pieces as well as wall art with specific logos, names, quotes or custom images. The health of your family and the preservation of the environment are of great importance. That’s why they only use water-based paints and stains on all of their products and their very own beeswax finish on their children’s toys. Trae Designs prides themselves on designing and creating each item in our their shop and hope you enjoy the products as much as they enjoy making them! 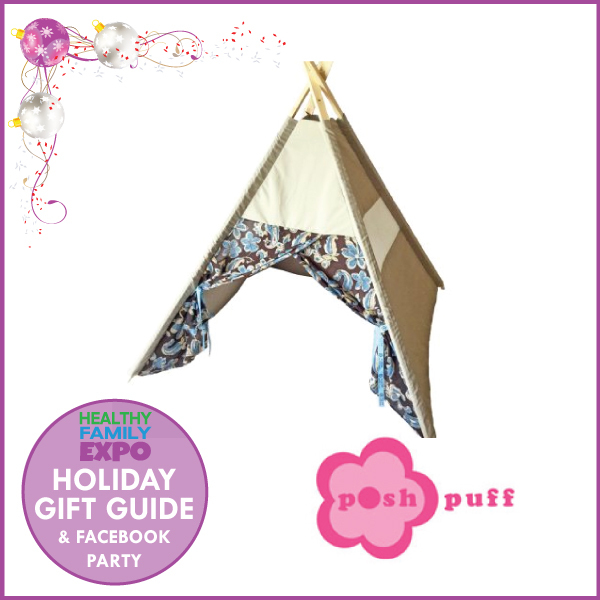 Posh Puff Teepee Play Tents are fun retreats for kids, and they’re also made with upcycled fabrics & support textile recycling in Vancouver! These eco-friendly teepee play tents feature sheer windows that allows parents to look in or kids to look out. Measuring 4 feet square, these tents are roomy allowing your child a private hideaway or a hangout with friends. They are designed to be portable, set up in seconds, and quickly fold flat for easy storage. All teepee play tents come with an umbrella-like strap, and the fabric can be removed for washing. Great for indoor and outdoor play whether it’s at home, park, beach or campsite. Hours of fun for kids of all ages! 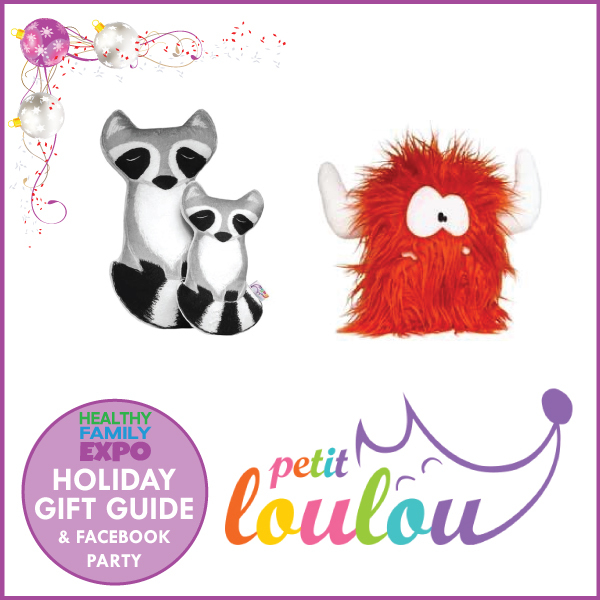 Petit loulou was born from a passion for bringing cute and silly characters to life in a unique way. Every plushie is carefully designed and handmade in Vancouver from the softest and safest materials. Petit loulou offers a wide variation of customization, from hand stitched name to a full choice of colors to make your gift a very special one that will be loved and care for many years. These adorable plushies have been chosen by little ones to be their favorite comforter. Buddha & the Raven is a North Vancouver-based jewelry design company owned by local mother & entrepreneur, Tiffany Haziza, who transformed her passion into a profession when she followed her heart. When she’s not working on writing her novel, she’s deeply immersed in the creative process designing jewelry for the Oscar gift bags each year. Her delicate designs often showcase gorgeous Swarovski and pearl accents and make for perfect gifts for your family & friends this holiday season!